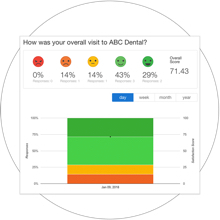 Conducting patient satisfaction surveys in your dental practice can lend exceptional insight into how to improve quality, care, and referral rates. This template can immediately affect the way your practice does business. 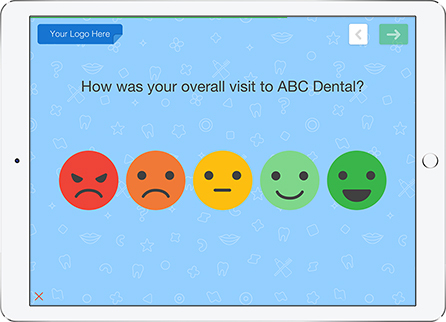 Do you need an easy and insightful way to gather patient feedback for your dental clinic? Patients make decisions about your business before they even meet you. Not only does the modern consumer have a greater number of choices, they also have more channels through which to pursue them. Online reviews, once reserved only for the hospitality and wellness industries, are now an integral element in the world of healthcare. In such an environment, providers who focus on creating a strong patient experience are going to win. 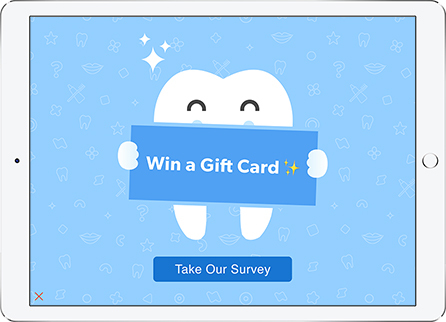 Get started with our dental satisfaction survey template today. 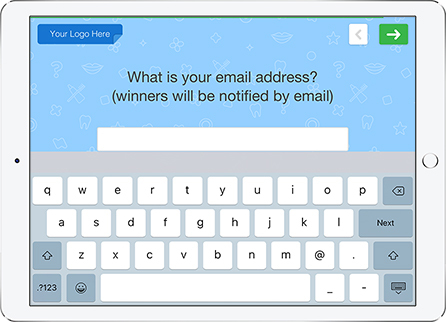 QuickTapSurvey’s easy survey builder allows you to customize your survey’s colours, fonts, and background image. 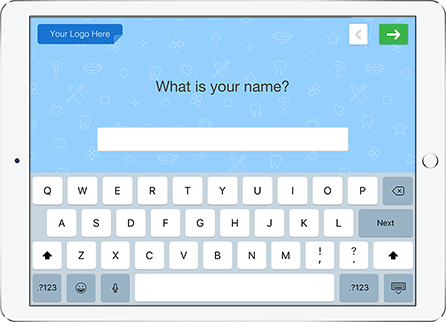 You can also add your own logo to fully brand your survey. 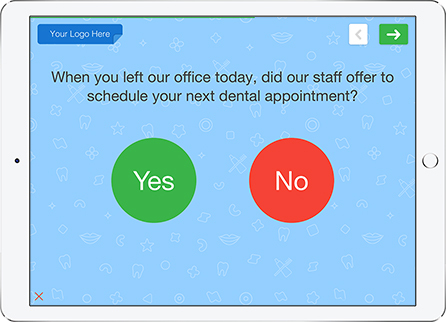 Turn your tablet into a kiosk if you’d like to collect patient feedback unattended in your clinic. Convert your survey data into professional and shareable reports to better understand and take action on the patient feedback you’re collecting. 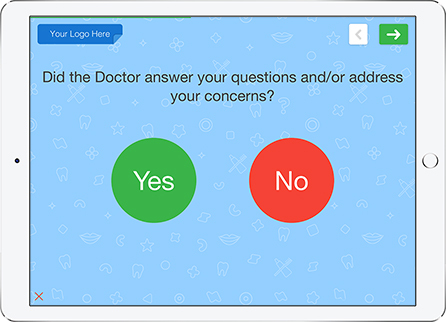 Depending on the response your patients have provided, you can choose which questions to show them and automatically trigger responses to their feedback. This feature allows you to instantly send a customizable follow-up email to your patients once they’ve provided their contact information. Sign up online and create your first survey using our fast and easy survey builder. 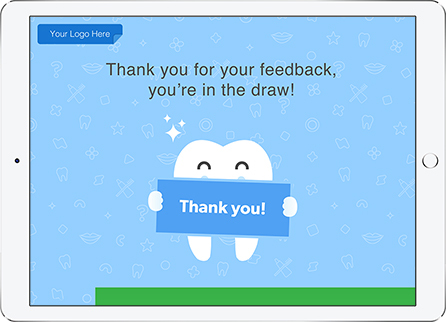 You can get started using this dental patient satisfaction template, or build your own survey from scratch in minutes. 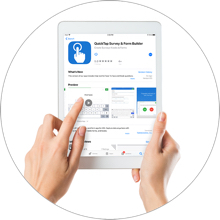 Download the app on your tablet and sync your patient satisfaction survey to start collecting feedback. You can collect data anywhere, even without an internet connection! 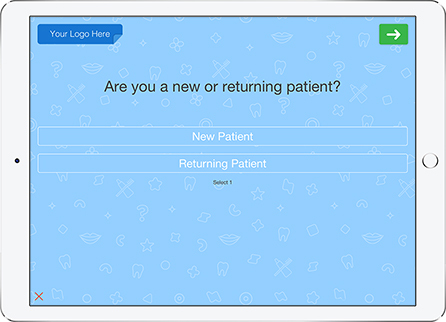 Collect patient feedback responses from visitors on your tablet - with or without and internet connection! You can place your tablet in a kiosk enclosure if you’d like to collect feedback unattended in your clinic. 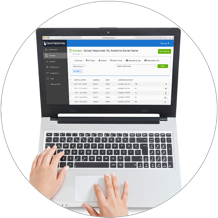 Review your response data, export it in multiple formats and convert it into professional reports for easy sharing and discussion. 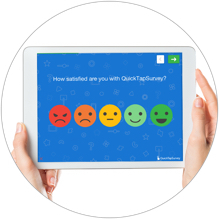 QuickTapSurvey’s powerful reporting and analytics tools can help you take your dental practice to the next level of customer satisfaction! Our innovative product makes it fast and effortless to gain insights into your data, with plenty of useful reporting and analytics tools available through our analytics dashboard. Easily view and analyze the data you have collected in one place through our app, download it in multiple usable formats. 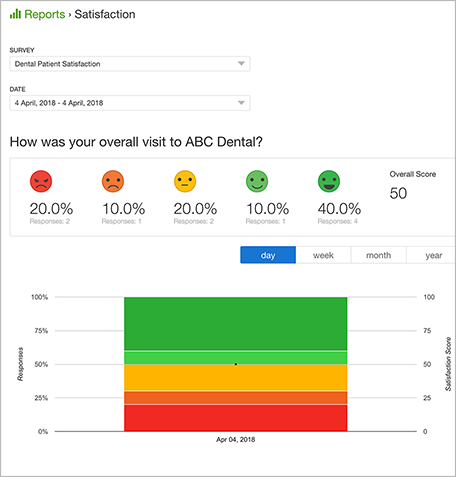 Create and share a variety of reports, including an Analytics report, an Active Kiosk report, NPS reports, and Satisfaction reports. Discover which features are available with certain plans on our Pricing page.